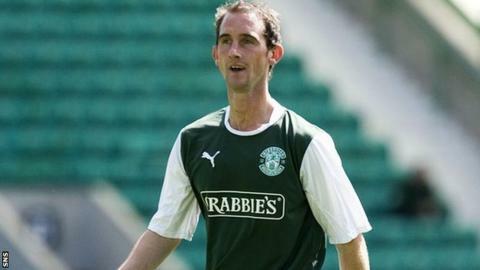 Former Dunfermline Athletic midfielder Mark Kerr has signed for Dundee despite interest from Scottish Premier League rivals St Johnstone. The 30-year-old left the relegated Pars in the summer. Dundee manager Barry Smith said: "We are delighted to have a player with Mark's experience and ability join us. "He has proven himself as a quality footballer at the highest level in the past and we are sure he will do so once more at Dundee FC." Kerr, who began his career with Falkirk before spells with Dundee United and Aberdeen, joined Dunfermline in January after leaving Greek Superleague outfit Asteras Tripolis. He had trials with Hibernian and Carlisle United after exiting East End Park and St Johnstone were hopeful of signing the midfielder. However, Kerr becomes Smith's eighth signing since the Dens Park club were confirmed as the replacement for Rangers in Scotland's top flight after the Ibrox outfit headed for liquidation.